Hello! Here are my favourites for the month of July! 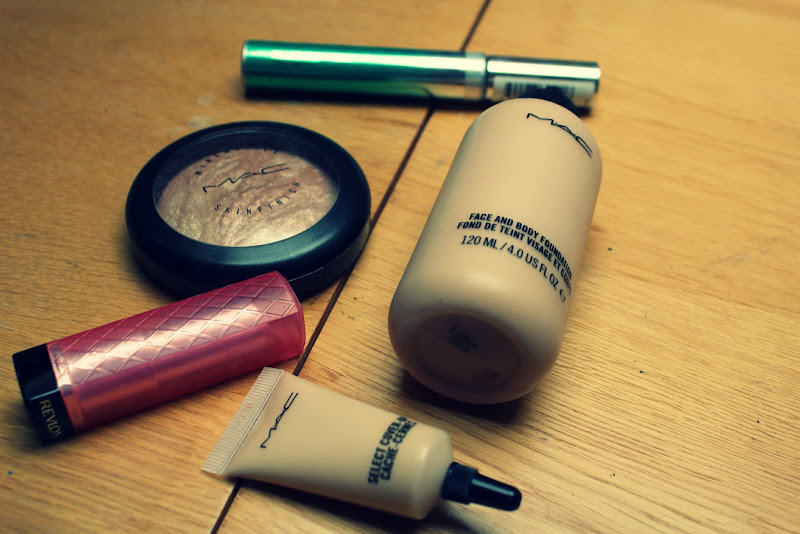 These are products I was loving while I was on holiday! Revlon Grow Luscious Plumping Mascara - I needed a new mascara and had heard great things about the grow luscious mascara, however I don't need any length on my lashes as they are already pretty long! So I opted for the plumping mascara, I really like it! I prefer it to the L'oreal Voluminous I was using before! Mac Mineralize Skin Finish In Soft And Gentle - I wanted this for ages and picked it up at the airport, it was about £2 cheaper than normal due to duty free so that was a added bonus! (Although the sales assistant was so rude and patronizing!) I used this everyday on holiday as a highlight, it's SO BEAUTIFUL!! Revlon Lip Butter In Strawberry Shortcake - I am in love with the Revlon Lip Butters, I have three and NEED more! I have extremely dry lips and these are beautiful, they don't dry my lips out and are so moisturizing! Mac Select Cover Concealer - Another airport buy! I hadn't heard too much about this concealer but I really like it! It's pretty full coverage so it's perfect for my crappy skin! 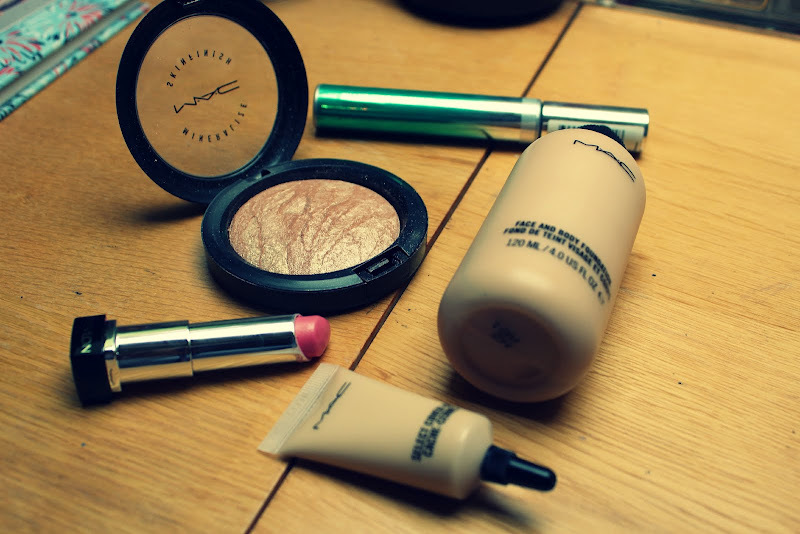 Mac Face And Body Foundation - I must admit when I first bought this, I wasn't very impressed. But after trying out a few different brushes and ways of applying it, I am in love! You can apply such a thing layer and have very little coverage or you can build it up to as much as you want! 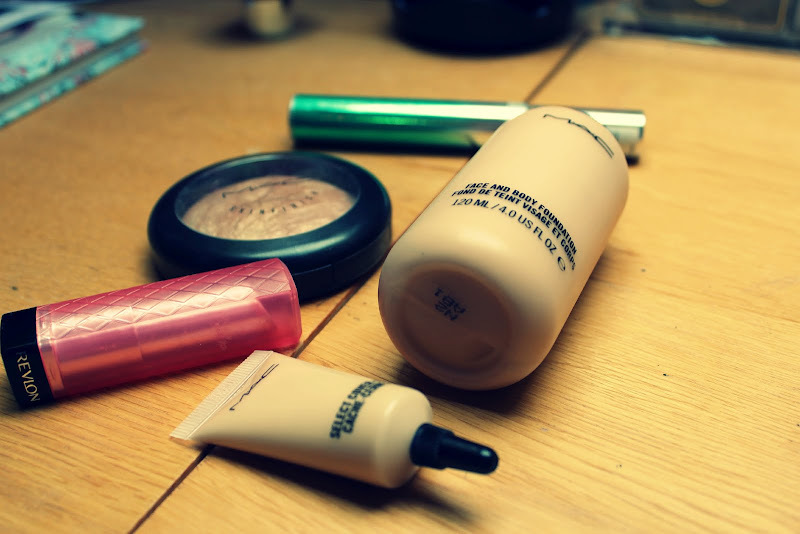 It is also perfect for my dry skin, it is the ONLY foundation I have tried that doesn't cling to the dry parts on my skin! The skin finish looks amazing!!! I've nominated you for the Liebster Award! It is a great opportunity to appreciate smaller blogs! LOVE the mineralize skinfinish to bits! My favourite powder at the moment! Im so in love with soft and gentle too, its beautiful, I want it so bad.